Great Britain’s most well-known and beloved illustrator and writer of children’s literature,Sir Quentin Blake is joining forces with a new, innovative charity…The Kids Network. 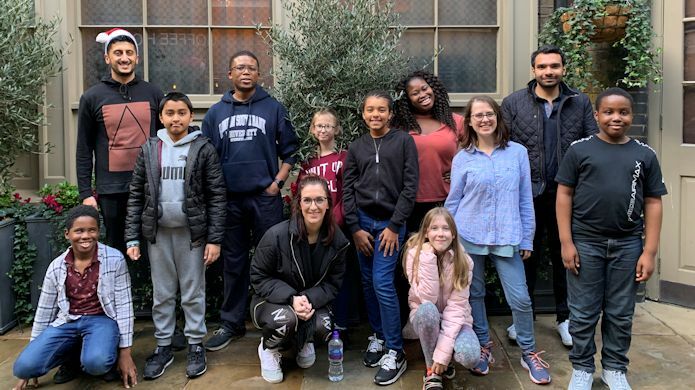 This charity supports children and young people at a crucial time in their development by connecting them with young professional volunteer mentors, in London’s most gentrified areas. Together they can take on new opportunities and explore London together. Sir Quentin Blake has gifted a sum which will allow The Kids Network to reach many more young people and launch in Hackney.